The popular Messaging app, WhatsApp, has been made free for a limited time only. Grab it while you can, before it goes to the normal $0.99 price. * MULTIMEDIA: Send Video, Images, and Voice notes to your friends and contacts. * GROUP CHAT: Enjoy group conversations with your contacts. * NO INTERNATIONAL CHARGES: Just like there is no added cost to send an international email, there is no cost to send WhatsApp messages internationally. Chat with your friends all over the world as long as they have WhatsApp Messenger installed and avoid those pesky international SMS costs. * SAY NO TO PINS AND USERNAMES: Why even bother having to remember yet another PIN or username? 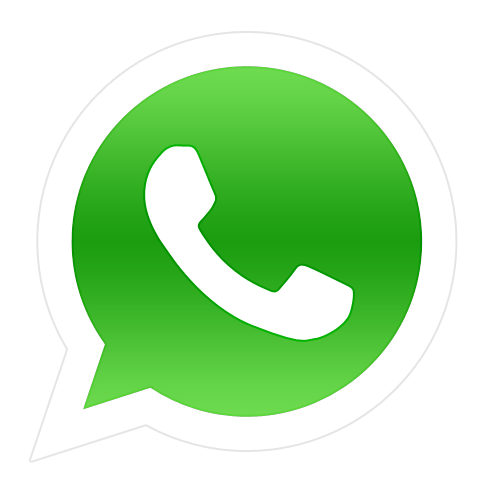 WhatsApp works with your phone number, just like SMS would, and integrates flawlessly with your existing phone address book. * NO NEED TO LOG IN/OUT: No more confusion about getting logged off from another computer or device. With push notifications WhatsApp is ALWAYS ON and ALWAYS CONNECTED. * OFFLINE MESSAGES: Even if you miss your push notifications or turn off your iPhone, WhatsApp will save your messages offline until you retrieve them during the next application use. * STATUS: Use the status feature of WhatsApp to inform your contacts if you are busy, in a meeting, at the gym, or available for a chat. * AND MUCH MORE: Share location, Exchange contacts, Custom wallpaper, Custom notification sounds, Landscape mode, Precise message time stamps, Email chat history, Broadcast messages and MMS to many contacts at once and much much more! WhatsApp on iPhone works with virtually all carriers and networks but some carrier limitations may apply. If you are on an Apple unsupported wireless carrier, double check our FAQ for up to date information on our coverage. NOTE: WhatsApp is a telephony application and as such iPod or iPad are NOT supported devices. You can download WhatsApp Messenger from the App Store for free. How To get OS X Mountain Lion for free! Tags: OS X Mountain Lion for free! If you recently bought a new Mac that doesn’t include OS X Mountain Lion, you can upgrade for free from the Mac App Store. Customers who purchase a qualifying new Mac computer from the Apple Online Store, an Apple Retail Store, or an Apple Authorized Reseller – or an Apple Certified Refurbished computer from the Apple Online Store – between June 11, 2012, and July 25, 2012, that does not include OS X Mountain Lion can upgrade to OS X Mountain Lion for free. If you fall into this category click here to apply for your free copy of OS X Mountain Lion. You have until August 24, 2012 to participate in the program. Also, customers who purchase a Mac on or after July 26th that does not come with OS X Mountain Lion are eligible for the free update via this form. Those customers have 30 days to participate in the program. Just as antivirus researcherscongratulated Apple for keeping the iPhone free of nasty apps five full years after its release, spammers seem to have finally tarnished that spotless record. Antivirus researchers at Kaspersky say they’ve spotted an app known as “Find and Call” in both the iPhone App Store and Google’s Play market that secretly uploads all of a user’s contacts to a remote server and then sends text message and email spam to every number and email address listed in his or her phonebook. Those messages, written in Russian and first reported by Russian mobile carrier MegaFon, simply advertise the app and include a link to a download site. But the app, which advertises itself as a tool for aggregating and simplifying contacts, doesn’t warn users it plans to upload their entire phonebook and mass-text and mass-email everyone they know. Add in the fact that it also spoofs the user’s number so that text messages appear to come from a trusted sender’s phone, and “Find and Call” almost certainly qualifies as the scummiest app to ever find its way past Apple’s significant security measures. In a followup interview, Maslennikov told me that most or all users currently plagued by the spam app seem to be Russian, based on Russian-language complaints in the comments on the app in Google and Apples’ app markets. But there’s nothing to prevent users from other countries from downloading the app and having their contacts spammed, Maslennikov warns. Maslennikov says Kaspersky has contacted both Google and Apple about the malware and expects that it will be removed from both app platforms soon. I also reached out to the two companies but haven’t yet heard back from either. Update: Apple seems to have removed the app from the App Store. A screenshot from Wealth Creation Laboratory, the company to which Kaspersky traced the “Find and Call” spam app. Unlike more clearly criminal malware, the company behind “Find and Call” advertises itself in the open, including on acorporate website. That site doesn’t say much about the app’s creators. But by making a payment to the app’s PayPal account, Kaspersky traced the program to another company called Wealth Creation Laboratory, which lists a Singapore address and a director and co-founder named Sergey Bogatyrev. I called the company and will update this post if I hear back. Update: I spoke by phone with Bogatyrev in Singapore, who tells me he has no connection to “Find and Call” and couldn’t offer any explanation as to how Kaspersky traced the app’s payment account to his website. “Find and Call” hardly represents a real threat to iPhone users–more of a aggressive marketing annoyance at worst. And for Android, it’s barely an abberration, given that Google-targeted malware appears on a regular basis. But for Apple, it represents a rare chink in iOS’s armor. The only malicious apps to ever affect the company’s mobile platform in the past have either been mere proof-of-concept experiments created by researchers or were targeted at jailbroken phones.